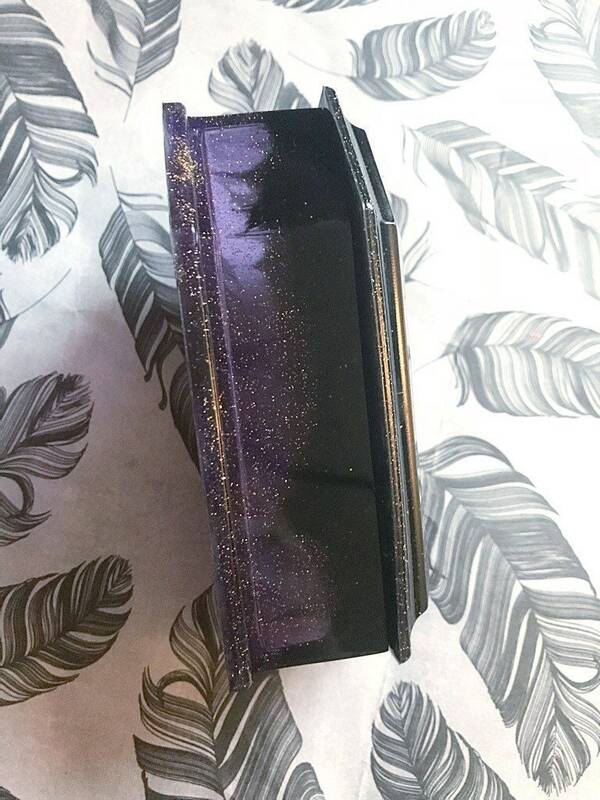 This trinket box is handmade using epoxy resin, glitter, beads, & cabochons. 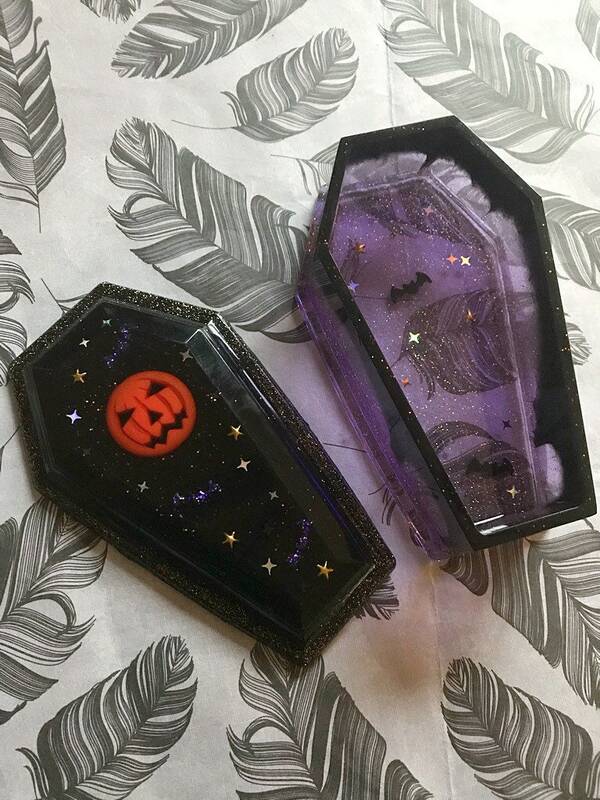 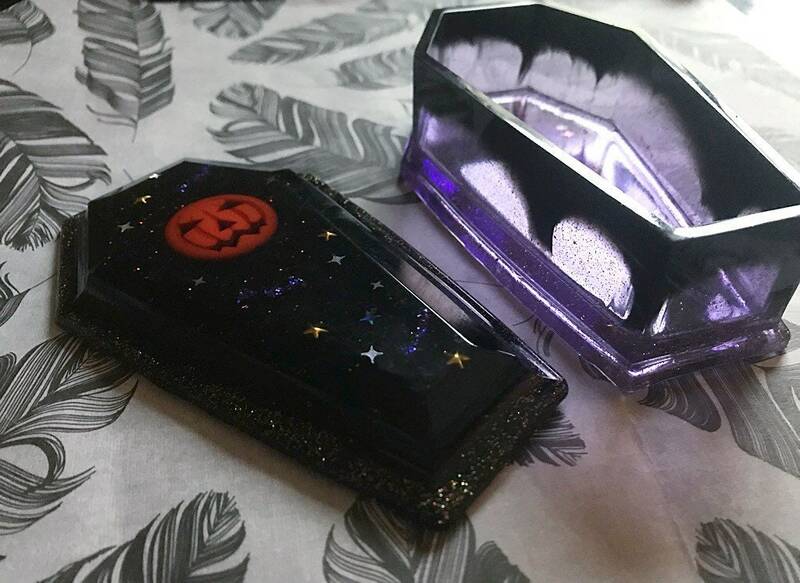 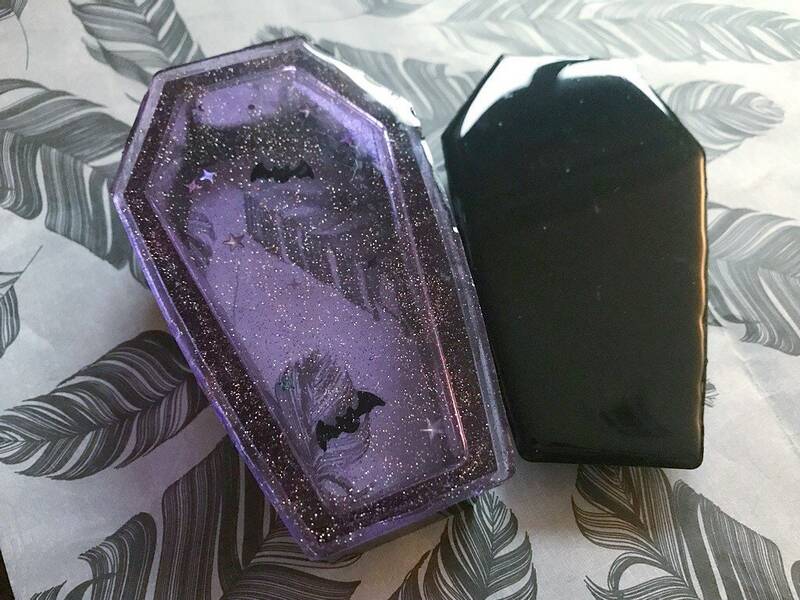 The color of the box is black with orange glitter & translucent purple with gold glitter. 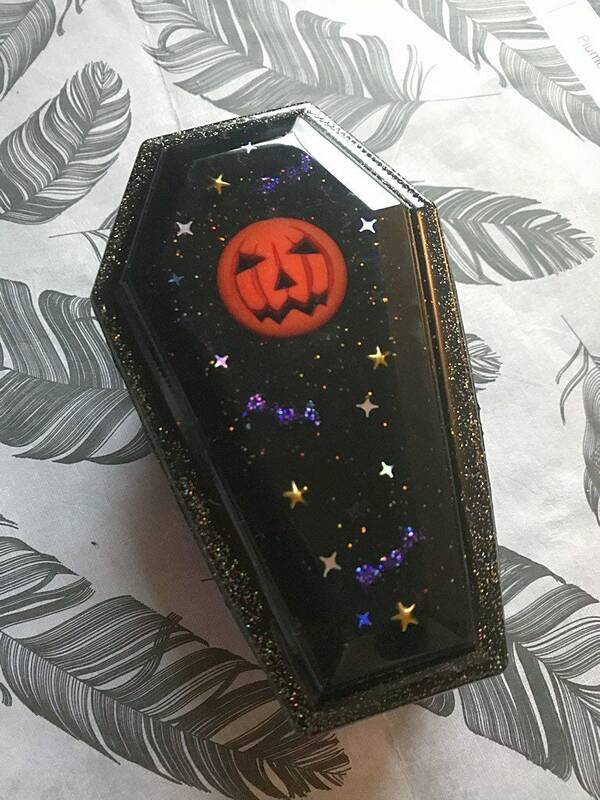 The lid is black with gold & orange glitter. 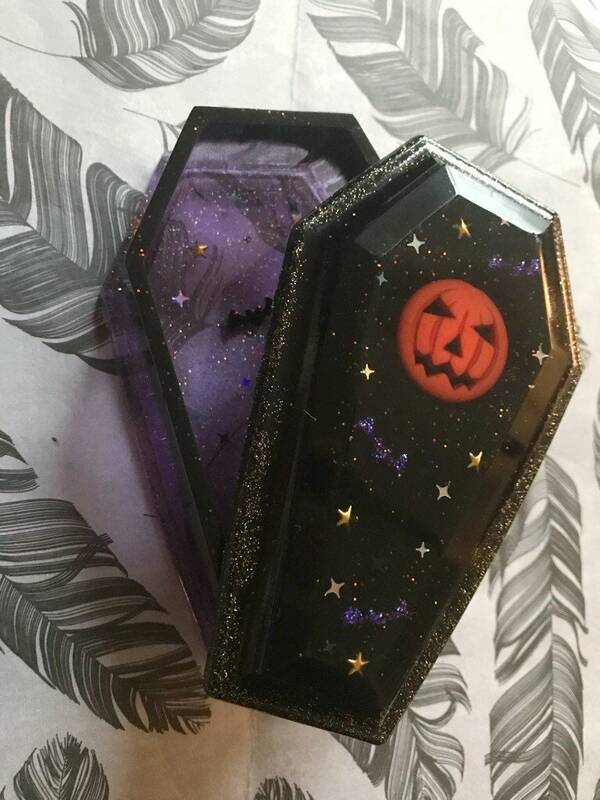 The lid has an orange pumpkin bead, little purple bats, & different glitters/metal stampings embedded.